We recently had the honor and rare privilege to sit down with Peter Mondavi Sr., long time proprietor of Napa’s oldest winery, Charles Krug. 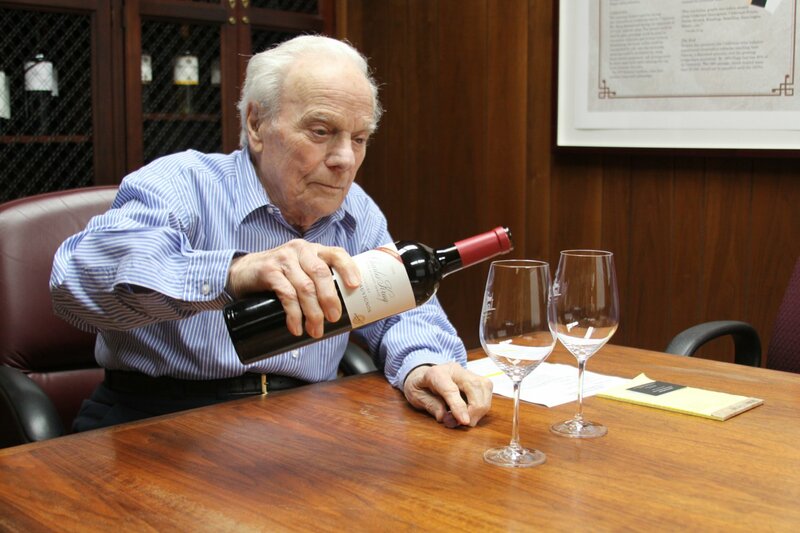 Mr. Mondavi is 98 years young. We talked about history of course because when you’ve been in Napa as long as Peter Mondavi Sr. you have plenty to discuss. But we also covered the types of wines being produced today and how they differ from the wines he started out producing in the 1940’s, not to mention his foresight in regards to vineyard development and technological changes, a number of which he personally introduced to the Napa Valley. Note: Mr. Mondavi passed away on February 20, 2016 at age 101. Mr. Mondavi was the last living of the of the twelve “living legends” so named by the Napa Valley Vintners association in 1995. Even after all these years, he still has a strong passion for wine. He has a sparkle in his eye when he talks about Charles Krug, their wines and how his winery and vineyards have evolved. While he admits his nose isn’t as sensitive as it used to be his palate and mind remain sharp. He also brings a good sense of humor to the “table”! Our interview and conversation lasted nearly 2 hours culminated by opening and sharing a bottle of Charles Krug’s Vintage Selection Cabernet Sauvignon (2006), a wine only produced in years when the fruit meets Krug’s exacting specifications for quality. 2011 is the 150th Anniversary of the founding of Charles Krug Winery. This is also the 60th year in a row the winery has held its popular “Tastings on the Lawn” an open to the public event originally started by Peter’s parents Cesare & Rosa Mondavi, to educate the public about wine. Tickets can be purchased ahead of time or at the winery on the day of the event. Charles Krug is on a mission to find the oldest Charles Krug Winery bottle in existence. These bottles can be either empty or full and can be from during the Peter Mondavi Family’s ownership (1944 to present) or from pre-Prohibition. Sotheby’s auction house in New York will authenticate the oldest. Submit your entries by emailing oldestbottle@charleskrug.com by December 31. 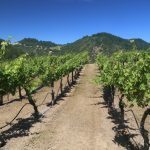 The following is our interview/discussion with Peter Mondavi Sr. – edited slightly for brevity and clarity. You know my father is the one who started the whole business – and he set it up for us to carry on. I give my father all the credit, really. I give my folks all the credit. My father migrated from Italy in the early years – in his early 20’s. He came to Minnesota – of course he knew some of the Italians and had a brother over here. The only thing my father could do at that time was become a laborer. He started working in the mines and then there was a cave-in and he lost his brother. My father got out of the mines and started a saloon business with a friend of his. Course then he went back to Italy and married my mother. He saw the future in the United States. I have to say this: neither my father nor my mother had a full education. They had the ambition, capability and the desire. I remember stories – my father had this saloon and my mother was raising four children. And besides that she had 15 boarders that she prepared meals for. How she ever did it… then of course Prohibition came – then my father got into the grocery store business. My mother wanted him to bootleg a little bit. He wouldn’t consider that! He had customers who wanted to make wine. Well, he would work on it – he felt there was a future in wine. He came to California and didn’t know anything about shipping (grapes). On his first trip early enough to learn about the business he learned to estimate tonnage of grapes. Three or four trips during harvest and then he decided shipping was a business he wanted. He sold his grocery store business and moved the family to Lodi California, where we settled. He knew an Italian family through his contacts – in Lodi – the heart of Zinfandel production. Tokay and Zinfandel grapes. There was also Carignane but that was not as popular as the Zinfandel. I’ll never forget when we were in the train we saw Palm trees and we didn’t know what they were! We settled in Lodi and started the shipping business and he expanded it by going to Fresno. He had a certain amount of customers who wanted Muscat wine – that was the popular wine in those days. Not only the Muscat, but he’d also go to Fresno to ship Zinfandel and it was earlier ripening than in Lodi. So he would go there for the first month and ship from Fresno and then come back to Lodi and continue his shipping. He also shipped cherries. He even went down to Brawley, Imperial Valley and shipped lettuce. His customers were wholesalers and individuals (direct sales). He continued that throughout his whole life. He got into the wine business early – he became a stockholder of Acampo Winery and Distilleries in the Central Valley – even though he didn’t have the education he had a business mind. It amazes me…like my mother and father – they were energetic. Dad was a quiet person but his handshake was the key thing. He got along very well with the bankers because he was a solid business man – even during the tough times. I remember in Lodi a lot of the hobos would ride the rails; our house was about 4 blocks from the railroad tracks but the hobos would find the house and my mother would fix them meals. How they found our house I don’t know – communication from one hobo to another. 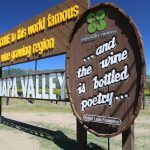 When he was a president of Acampo Winery and Distilleries – he also had contacts up here like Merryvale Winery which was known at that time as Sunny St. Helena – Mr. & Mrs. Riorda owned it and they were elderly. My father was handling the sale of the wine for Sunny St. Helena and ultimately purchased Sunny St. Helena. And sold it after he bought this property and concentrated here (Krug). 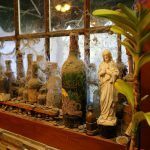 There were many ups and downs at Acampo Winery (in those days it was mostly fortified wines) – with very little table wines. But his love was up here. When he was President he maneuvered the sale of the property at Acampo and then concentrated up here. It was just bulk wines though. He had a very good relationship with the banker Paul Alexander, head of the local Bank of America in St. Helena. The Krug property I don’t really recall was publicized for sale – but my father found it through Paul Alexander. The rumor was this place was really for sale. My father was very well acquainted with the banker/owner, James Moffitt, so Mr. Moffitt arranged a meeting. Mr. Moffitt owned the property as a summer home. So anyway, we had the meeting and I was in the service at that time. I had a leave of absence for a few days. It was me, my brother and my father . I remember my father saying, “if you two want to perpetuate the business, I’ll seriously consider the purchase of the property.” The price at that time was $75,000 for the whole property. Of course it was all in shambles, the buildings – they never nailed the floors in. A lot of the flooring was taken out – never nailed in, only laid in. There was no activity on the place, it was leased prior to Louis Stralla on an annual basis (his lease ran out in 1940). It was just an open cellar with dirt floors and half of a 2nd floor and a partial 3rd floor. People would take the wood from the flooring and use it for other things. It wasn’t an operating winery, that’s for sure. The conversation went on for 15-20 minutes talking about this and that. Mr. Moffitt got a phone call – he went out of the room to take it. My father knew the price and course Mr. Moffitt knew the price. My father showed interest because my brother and I were interested. It was understood we were definitely interested in the place. So anyway he took that telephone call and we heard him say, “No I just sold it”. He came back and told my father “its yours’, just like that out of the blue. Of course it was obvious Paul Alexander was in close contact with Mr. Moffitt and told him of my dad’s reputation. You know when you buy property – you buy what you can get. We are pretty well set with our vineyard land because I bought it in the early years – even though I bought it at a real low price, today its still a battle – especially when you start replanting it costs you and arm and a leg! You bought the land years ago at $2,000 or $3,000 an acre. I blame the multi millionaires for the cost of land in the Napa Valley -the multi millionaires wanted a piece of the action. Even when they are breaking even – it doesn’t bother them, I think its bothering some of them now. I always say this, you have to love this business to stay in – because there are ups and downs. There’s been a substantial change – I think back: there was a wave of movement here. We went through some difficult years. I guess it must have been about 20 years when the big money came in. There was big money going in and big money going out. The Central Valley people were buying grapes here. But business wasn’t lucrative and then they would pull out. New investors came in and were devoted to quality wines – it took quite a while though before the die-hards (those who really loved the business) came in and became very selective on the rootstocks etc. They were really devoted to quality. And along came these high alcohol wines. I guess that’s been quite a while. I call them cocktail wines – there’s a place for it, but its not a dinner wine. Of course they use them for dinners. The way they are making them, they are doing a good job when you drink it. I don’t notice the alcohol and they have a good body and fruit. I would say with a good table wine – you get more of the fruit and character of the grape. My nostrils aren’t that sharp anymore. But I know if its good. Good in aroma and good in the taste. I noticed this when we talked about terroir – I started getting a sense of it. The vintners started extended maceration. And you know what that did. That brought out more of the soil characteristics in my impression – more than the normal fermentation. Its not distinctive. Its just earthy. I’ll drink it, but I miss that fruit. I used to taste the wine when it was nearly 5% sugar left. And the minute I’d sense a little bit of tannin, I would drain the wine. So it wouldn’t pick up the harsh tannins. And that made a nice fruit wine and you didn’t get the soil characteristics. And course when its high alcohol I’m just careful. I think the trend is starting to settle down now though. I’ll tell you this, the high alcohol etc, the thinning of the grapes, is an expensive operation. I was the first one to come in the valley with a bladder press. I was the first one to develop the cold fermentation. And that was a winner. Between 45 and 50 degrees. And that brought out in the white wines, all the fruit. Red wines I was the first one to bring the French oak barrels. We had all redwood tanks and so at that time we never thought of oak. Oak was impossible at that time. Of course there was barrel aging: we would barrel age using shaved whiskey barrels. In those days the Central Valley and Southern California weren’t raising a number of varietals. Now they are all over. We would cure the barrels with “vin ordinaire” (common) red wine first before we could put good wine in like Cabernet. 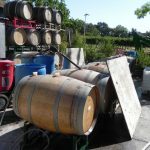 When we got into French oak barrels, I remember paying at that time $25 or $30 / barrel. And today its $1000 up to $2000. And in those early days, French oak was it. And then you had to learn more about the suppliers etc. And you know the French oak barrels as far as I’m concerned are only good for use once. You keep a Cabernet for two years. Even at $25/barrel we found it difficult to pay that price. I know some vintners use the barrels after they age their first wine. I’ll tell you what they do. As they produce the wine a lot of the wines are a little too heavy. What they do is they take a neutral French barrel to soften it for additional years. That’s something we haven’t done but I would like to. I still say the extended maceration has its limitations. Lets face it, when it comes to Cabernet I look for the Cabernet character. And I don’t get it all on these extended macerations. As I say, I don’t get any of the fruit. Now you take Sauvignon Blanc. I can enjoy a Sauvignon blanc, its a nice wine – has a little bit of fruit etc. The Chardonnay likewise. You can do a little bit of barrel aging. I did this once, but its too expensive – I air dried the barrel – when you bought it – it was a little rough. I had them age it 2.5 years and we aged our Chardonnay in that for 6 months and it was a beautiful wine. But then you couldn’t use the barrel anymore. I put another Chardonnay in that same barrel and there was no life left in it. I’d like to see us trend a little bit back to the fruit. I’ve noticed this, one of the vintners has a $150 bottle – he has some fruit now! There are changes going on now. I think it is because I love the wine – I don’t have to have anyone tell me, I just happened to love it. We grew up with it – my father always had some of his workers make the home made wine during his shipping season. I grew up with it. Its an Italian beverage – a daily beverage! I think those things I developed and brought to the valley, French oak, bladder press, cold fermentation. Forerunner on sterile filtration. First one to really work on this – brought pads over from Germany for filtering wines. Low constant pressure with special pads. Developed Chenin Blanc – 1.4 reducing sugar. Beautiful fruit wine because of cold fermentation. I graduated from Stanford but went to UC Berkeley and researched cold fermentation and improved the process. We keep them (grapes) as cold as we can yet still maintain fermentation. There just wasn’t that much information about this available. Of course I worked on skin contact time for whites – then you would drain it. You could leave the juice on contact with the skins maybe overnight or maybe for just 4 hours. You just wanted to pick up enough of the character of the fruit and then cold ferment it. The way we made Chenin Blanc was very popular but then it lost its popularity. I wouldn’t be surprised if my sons were enthusiastic to make it: it would sell. A lot of the Central Valley vineyards started making it. Now the appeal seems to be Sauvignon Blanc of the whites. I might try it now that you mentioned it (mentioned how nice a Sauvignon Blanc is that has been blended with a touch of Semillon). It can be a rough game. I’m telling you, I used to look at the liquor bottles, all those different brands, Now you have all these different wines – you can get lost! And there is a lot of good wine. The world is moving along. Some of the vintages hold up very well. And I know this, I’ve tried some of our wines 40 years old. Some hold up naturally better than others. The king of the wines of course for aging is the Cabernet. You make blends, you soften it for earlier drinking but straight Cabernet will age that much longer. And of course you have to have temperature control. I just refinished my wine cellar at home and have constant 55 degrees. It doesn’t get lower or higher. As long as we have wealthy people who own boutique wineries… I think that will perpetuate – they may change hands, but they are here to stay. Because they have the money. They may sell out to another wealthy individual. It all depends on the economy. This economy isn’t so healthy right now. I don’t see a real good future, I just don’t. Look at our industry – the big corporations, government is promoting bigger corporations and they go overseas for their business. And its put a hardship on the family business. I know what its like because of our business. You have to sacrifice an awful lot to maintain your business. Its not a healthy situation. Its encouraging the big corporations and they are getting bigger. Higher labor costs. The unions are fine but they go to extremes to. And that’s where China is getting all the business. The years when we used to talk about keeping our balance of trade, more exports than imports. And now. Its not a healthy situation. It makes it difficult for a family business to perpetuate. I started working in the lab -production – then when my brother broke away and became successful – very successful. He was a dynamo, I’m more of the slower type – he built up an empire and when you get too big you have to go public. In order to achieve what he wanted you had to go public. He would talk to me about it, the banks are getting tougher. That wouldn’t stop him. With the government how can you persist – he had to go public. I’ll be 97 in November of this year. I think in my older years – I’ve always felt about 10 years younger than I am. So far so good. Sore back, sore feet – other than that I feel fine. I can walk comfortably for short distance but then after that the back has problems. Yea I’ve been in this business all my life, other than the 3.5 years in the service. Its a pretty good stretch if you stop and think about it! That’s what keeps me alive (coming to work every day) – and this – (points to wine). I always have wine with dinner. This is a nice wine, a drinking wine (referring to a bottle of the 2006 Charles Krug Vintage Selection Cabernet Sauvignon). I give all the credit to my father and mother. How often I think about them coming from Europe at that young age. And all the work throughout all their years. I just never think about retirement. Every time I go to a function I know damn well I’m the oldest one there! Were doing very small things – in my younger days, I remember when we had bigger events. Nothing explosive that I’m aware of yet. We have our popular Tastings on the Lawn. I think we were the first ones to develop that many years ago. We figure people didn’t know about the wine and there are so many wines out there now you get lost. I think we can hold up very well against a lot of them. There’s no question the boutiques get the real play – because they are small etc. Our name is getting pretty old. I have two sons now running the business although I’m overseeing everything – we have steady growth. I don’t want to grow to big. The tax problem. Then what are you doing it for? Enough is enough. Even here now with the volume we have – we have 850 acres, 150 unplanted. We have more facilities to add here. We spent 10 million dollars on the retrofitting of the historical buildings. And the big building is not finished yet. We can use 2/3 of it, the barrel room, but we want to use part of the ground floor for a new retail/room and improve a Mezzanine for private tastings. And we have a 3rd floor to find out what we want to use it for. We have the building and the roofing and now its all in tip top shape. The barrel room is also in full use – its the other areas. We have the full 3rd floor for where we used to bottle. I’m working on that. We can’t keep up with the space with our present volume. I figure we have another 10 million more to invest still to bring us up to snuff – balance and beautify the winery property. We are living with whatever we are making. The others come in with all the money – they didn’t make it here. We own the land and we have good relationships with the bank. What else can we ask for. I want to change the style of our Chardonnay – for me it all depends on the location of the grapes but then also the amount of skin contact. I’m trying to handle the Chardonnay a little differently – control the skin contact. There’s such a thing as draining it too late or draining it too early. I did the research on that – we always used to leave the juice in contact with the skins for about 4 hours and then drain. The yield wasn’t great but we got the quality out of it. If we left the juice in contact with the skins for any longer it would develop a harshness. Number one is skin contact – and cold fermentation was so important and then of course our French oak barrel aging was a big plus – we were finding out about different oaks but now you have all variations and all types of French oak. Back then it was five main coopers. It all depended on the producer and how he handled his vineyard. As I say, you have to love the wine business to stay in it – with its ups and downs and challenges. Its a demanding business – but its a good business if you can stand the ups and downs. People come in for glory and hopefully make good money, and if they don’t make money they sell out. You can probably see the labels continuing but ownership changes. My sons had some wines made in small lots – will be released soon. Boutiquing. Its an entirely different style. Its called Aloft. Be on the lookout for those. I think that wine is outstanding. You don’t get a lot of earthiness – it has a clean palate. True to character. It gives you a full “mouth” but a “fuzzy” taste – (earthy character). The quality is based on the soil, so if the soil has a nice quality it will show in the wine. This one is airing out better for me. I’m losing some of the fuzziness – more fruit. 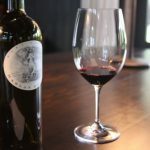 I remember when I took a trip back east with my sons about 15 years ago, we had this tasting of our Cabernet – the fuzziness, its a different style. These wines are very selective from our vineyards. To me that has the style that I like. Its getting better in the glass as it breathes. Now I’m becoming much more aware of the soils. I was aware before but it didn’t mean much to me. When you start making wine using extended maceration – you really have to learn your soils. This wine is cleaning up as it breathes (referring to a bottle of the 2006 Charles Krug Vintage Selection Cabernet Sauvignon that we are drinking). Now this is fairly clean compared to what we used to do in the earlier years. We make this wine every good year; if it doesn’t qualify we don’t make it – once in while we will skip a year. It has to meet certain specifications. Now this is not as “fuzzy” as when we first started making it – then it was really earthy. You’ve seen the soils map – all the different soils. We have to learn a little more about our soils – still learning about which spots have which soils. It has a good nose – the trouble is I used to get the fruit, now I have to rely on my palate. It drinks well – I always look at the alcohol. Cocktail wine. As I say, it has its place. You can drink it with a meal. You better not drink too much of it. One glass that’s it, and not big glass either! Napa Valley – November 2008 Win trip to Napa Valley! Wrapping up Harvest Napa Valley! Prager Port Works, Napa Valley CA – January 2007 Harlan Estate, 600th Napa Winery Visited & Reviewed! !